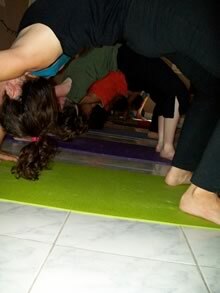 Yoga – We teach both therapeutic yoga and old fashioned Ashtanga Yoga in the method as Bobbi learned from Nancy Gilgoff. The owner, Bobbi Misiti has studied extensively with Nancy Gilgoff, and Manju Jois among a few other long time ashtanga master teachers. All the teachers at BeFit have first been students for many years, then have been trained individually by Bobbi in addition to at least one year of mentoring in classes with Bobbi. During class we focus on each student individually making the practice their own. In class your practice includes individual attention working with your breath and alignment/adjustment helping you to understand the posture from the inside out gaining awareness around the true internal benefits of each posture and truly learning how to practice yoga without inducing a stress response. This is where many of the benefits of Mind/Body Medicine and exercises prevail; strengthening the calming side of our nervous system (parasympathetic nervous system) so we can operate efficiently while reducing the cascade of stress hormones in our body. We also offer therapeutic yoga for help recovering from surgery, illness, back pain, joint pains, auto-immune diseases, or anything that is keeping you from living life to your highest potential. In our therapeutic teaching we can incorporate physical therapy exercises, viniyoga, modified ashtanga, and basic hatha yoga in a therapeutic setting. Lineage » Read about some of the history of ashtanga yoga, how it was taught in the days of Pattabji Jois and about some of the original teachers who helped to bring this form of yoga alive. 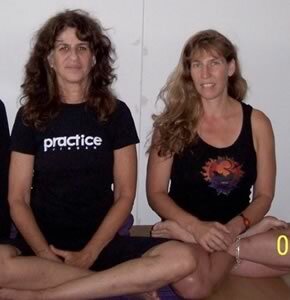 Bobbi Misiti is known for her enthusiasm of health and love of Yoga. 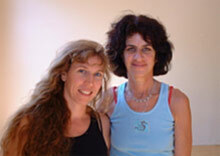 Sabrina started Ashtanga in 2012. Feeling the power of the practice she dove in fully including studies of the yoga philosophies. She started teacher training at BeFit Yoga in early 2015 with Bobbi Misiti, and continues to study extensively with Bobbi. To continue to enhance her depth of yoga knowledge; in 2016 she went to Maui to study with Nancy Gilgoff and in 2017 she did a teacher training with Manju Jois. She has a gentle touch on her assists and a deep knowledge of yoga — specifically the primary and intermediate series of Ashtanga Yoga. Chelsea started learning ashtanga yoga with Bobbi in the winter of 2016. 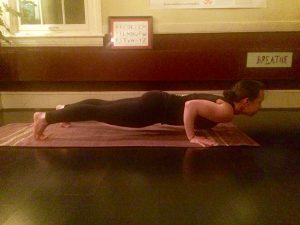 She came to BeFit Yoga with over 14 years of teaching experience in the fitness industry teaching exercise ba sed classes for people ranging from kids to adults. She found the practice of yoga in 2008. After feeling the benefits of the practice she went on to receive her Vinyasa certification in 2014. She has been teaching consistently in the area ever since. 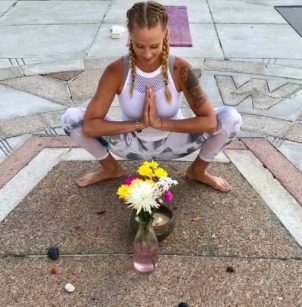 She has taught out of numerous yoga studios, YMCA, Martial arts studios, boxing clubs, libraries, festivals and various workshops for different corporations. 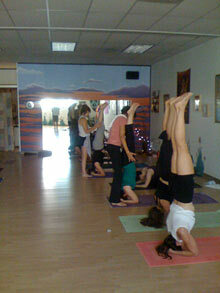 Her styles of teaching range from Ashtanga with Vinyasa roots, Vinyasa, chair Yoga, restorative, kids, and all levels. She loves the positive energy and health yoga brings to one’s life! As a mother of 3 kids yoga helps her to slow down, stay stress-free while keeping the balance with taking care of herself, family and those she teaches. She loves helping others to find the balance as well! Chelsea also enjoys hiking, swimming, cooking, gardening, healthy living, working with the community and volunteer work. Yoga has inspired her life in so many positive ways! She looks forward to passing it on to you through the practice of yoga.